Hi. My name is April Santa Ana, and I am a certified personal trainer, certified group fitness instructor, Les Mills fitness instructor, and NPC Figure Bodybuilding competitor who enjoys living a healthy lifestyle. I teach Les Mills Body Attack, Les Mills Body Pump, Les Mills Body Step, ​ as well as bootcamp and circuit training classes. I personally specialize in weight loss and strength and endurance training for women but train all types of individuals. 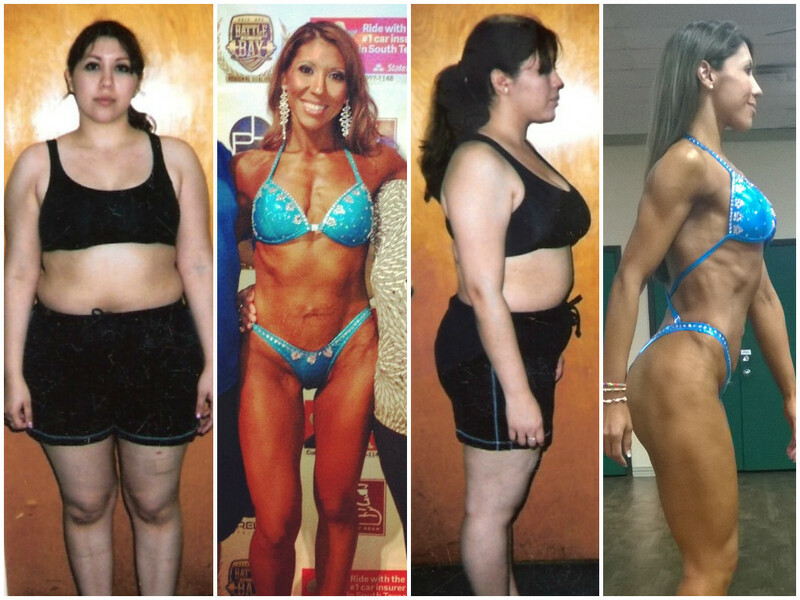 My health and fitness journey began in 2003. I moved off to college for a semester with my then boyfriend, but things didn't work out so I moved back home. That semester I gained about 50 lbs. and ballooned up to 210 lbs. Between going through a breakup and gaining weight, I hated the way my life was going and knew something needed to change. I began working out with the very first P90 video (from Beachbody). It was a gift I asked for for my 21st birthday. I made the choice then to change my lifestyle completely. I began jogging outdoors and doing strength training with light dumbbells and resistance bands. With the help of a friend, I eventually moved onto lifting heavier weights in the gym. I researched every magazine or book I could find (the internet was not as informative then) to understand how to eat properly and improve my workouts. Through trial and error I learned how to lose weight and succeeded, however, it wasn't always easy for me. My weight loss became an obsession and this obsession eventually lead to an ugly eating disorder. Bulimia, Anorexia, you name it, I experienced it. I asked for help and was hospitalized for 10 days in an institution to help me. Though I didn't recover immediately and fully, I eventually took steps to healing myself and got through it all through time. You can see my profile at http://bodyspace.bodybuilding.com/aprileve411/ to see my journey in pictures and the fluctuations I've gone through in the past 13 years. I ultimately decided I wanted to begin helping others with their health and fitness journey and to help them avoid the pitfalls I experienced. After years of contemplation, in 2008 I made the choice to become a fitness instructor. In 2013, I became a personal trainer. I truly enjoy the path I am on now and absolutely love helping others with their health and fitness goals.